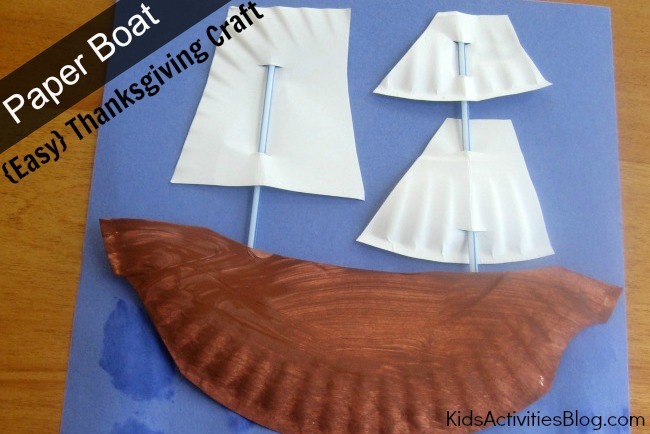 Make a paper boat thanksgiving craft that looks just like the one the Pilgrims sailed in on their way to America. What a cute Thanksgiving craft this is! At Kids Activities Blog, we celebrate Thanksgiving (and easy craft projects like this). The Mayflower traveled across the Atlantic Ocean carrying with it pilgrims looking for a new land. My son and I decided to great our own version of the Mayflower to celebrate its voyage. We started by cutting the bottom portion of a paper plate to look like boat. Actually we really just trimmed each side of the plate a little to give it a ship like look. 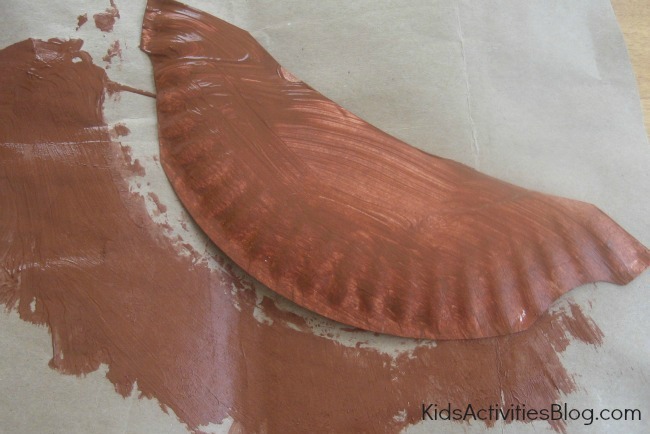 Then we used a wadded up paper towel to paint the boat portion of the plate brown. Paper towels with paint create a streaky look on the surface you are painting on. We were trying to give the bottom of the boat a wooden look. The remaining section of the paper plate was cut into three sails. Two smaller sails for the front section of the boat and a larger one for the back. We cut two small slits in each of the sails to pass a narrow straw through. The two front sail were place on one straw and the larger sail was given a straw of its own. The sails were set aside and we started working on painting the water on a piece of blue construction paper. 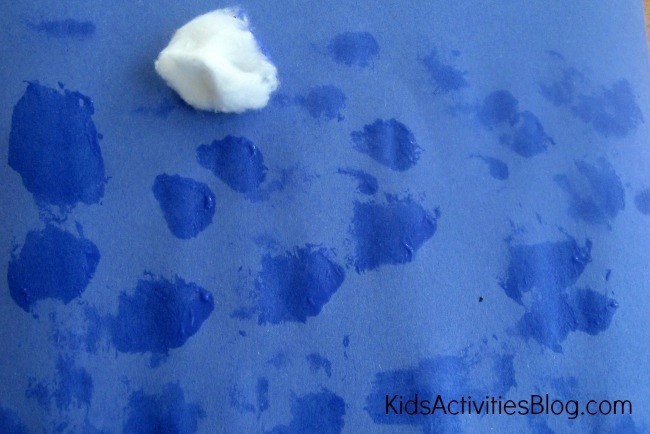 We dabbed blue paint onto a cotton ball and then stamped it onto the construction paper. The blue dabs were supposed to represent the movement of the water. After all the paint had dried on the boat and the blue paper, we started to assemble the boat. The first thing we did was glue the boat onto the blue paper. Then we put glue onto the back of the sails. 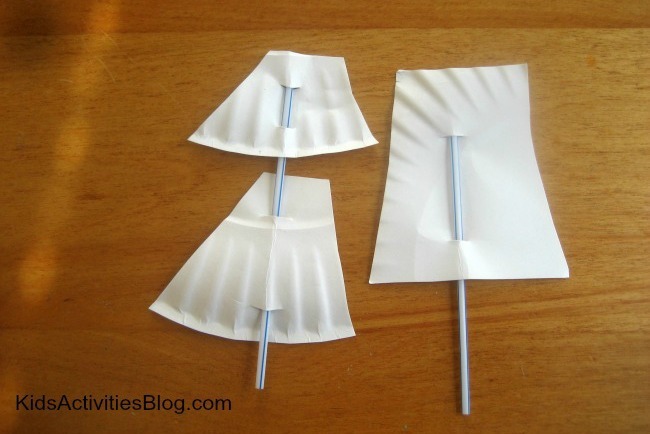 The sails were positioned so the ends of the straws would be hidden behind the plate. Who knew a paper boat could be so cute? This makes a great Thanksgiving craft while teaching our children about the Pilgrims and the first Thanksgiving. Previous Post: « Teach Kids Gratitude: Make a Family Thanksgiving Tree! I have been trying to think of a way to make a Mayflower ship that would be preschooler friendly. This is a great idea and very cute! Good website, pleased to find out youve got anything build ok.